Karnika has recently graduated with a Master's degree in Intellectual Property Law from the Queensland University of Technology (QUT) Brisbane, Australia. She holds a Bachelor's degree in law from India. 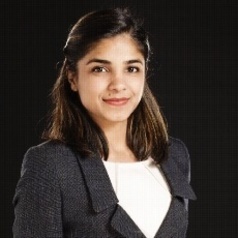 She has previously worked as a lawyer in India and has assisted both, litigation and legal advice teams on matters relating to music and film production, acquisition and licensing. Currently working as a research assistant, she has keen interest in copyright law and its interplay with media and entertainment industry norms.